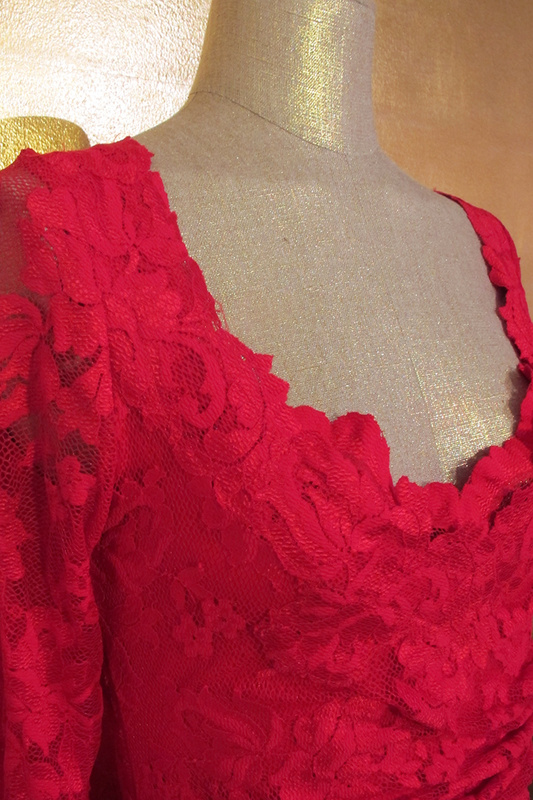 This stretch lace dress features a open v-neck, pedal trim, long sheer lace sleeve and ruched draping on waist side. Has a attached slip and pull-on entry. 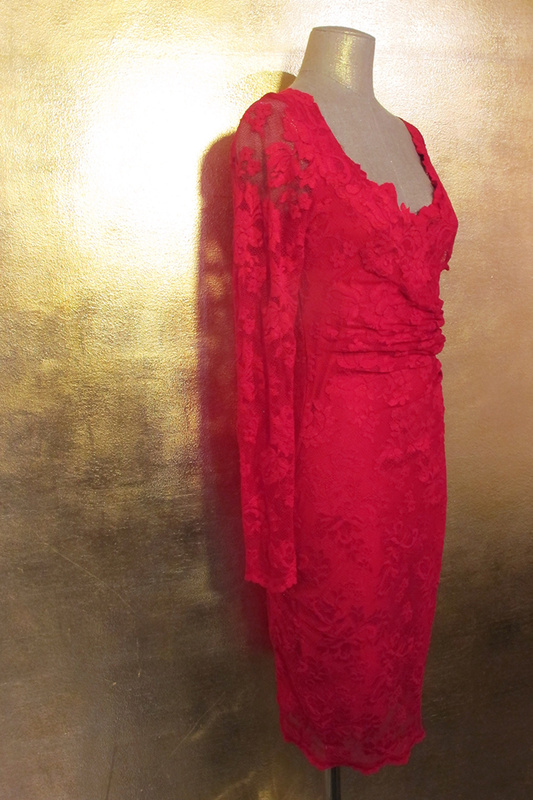 Stretch dress with a layer of draped exquisite lace.